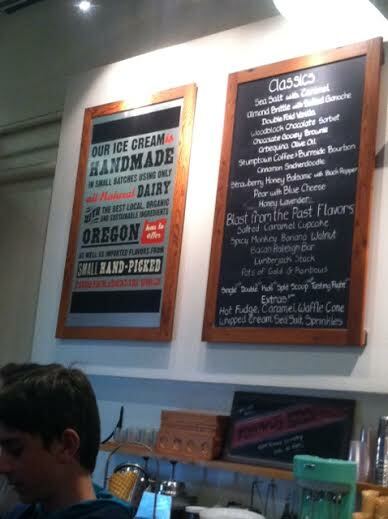 As you know, I’m currently in Portland, Oregon having a great time! I’ve been here since Tuesday night, and I thought I would give you all a recap of the adventures I have had. There’s a lot of pictures, so enjoy. Here it goes! 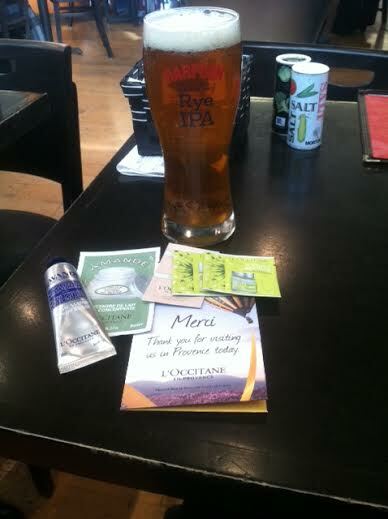 My airport beer, lotion and samples. Natasha was awesome and picked me up at the airport, then we went and grabbed some burgers because we were both outrageously hungry. Did you know that Alaska Airlines only gives you a pathetic bag of mixed nuts for a 6-hour plane trip?!? Not okay. Not okay at all, considering how much money I spent on a plane ticket. You live and you learn I guess. I have learned not to take that airline again if I can avoid it! Anyway, flash forward to Wednesday, March 26th: I woke up around 8am (there’s a 3-hour time change, so it works in my favor here with waking up earlier), took some time to shower and get dressed, then I made my way to the bus stop. Unfortunately, the bus wasn’t scheduled to come until 4:22pm and it was 9:45 am… so I had no choice but to walk. To where, I had no idea, but I started hoofing it and eventually found my way to a main area of Beaverton, which is where Natasha lives, which eventually led me to a bus stop. Now, I’m pretty directionally challenged, so getting myself to the proper bus stop was a victory in and of itself. Go me! So, I took the bus to the Max (Portland’s form of public transit) stop, and from there road it into the City Center of Portland – great success! The Max stop that I got off at was right near a Chinese Garden in Chinatown, so I walked through the garden to take in the sights. It was pretty, but unfortunately I didn’t snap any pictures to share. 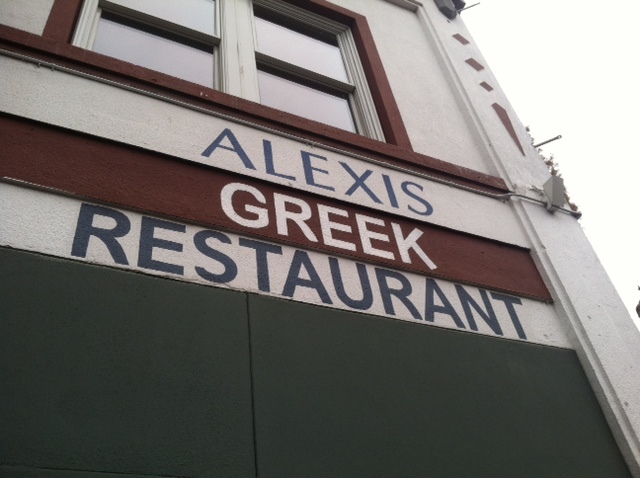 Yuuup, Greek food! I have a serious weakness for ethnic food. It is just so delicious, and I like that about myself. Got to indulge! 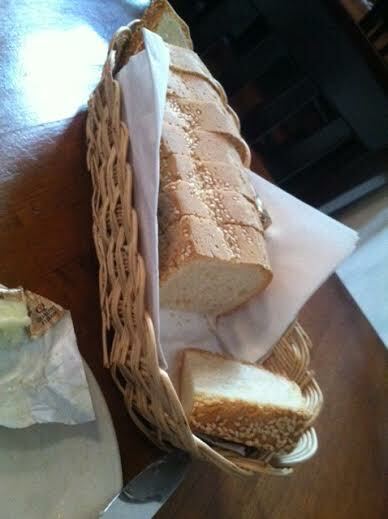 I especially love when they give me an entire loaf of bread when it’s just me eating there. Yummy. I know that some people have an issue with going solo to a restaurant, but I don’t see a problem with it. It’s empowering if anything. 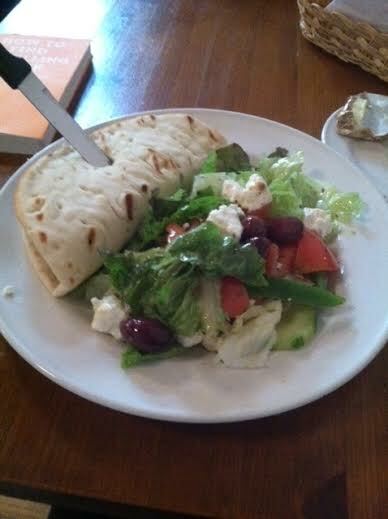 ^^ What you see there is a chicken/lamb gyro with a Greek salad. It was amazing and super affordable. Score for Portland. After I successfully gorged, I went exploring in downtown Portland in the SW side — Portland is a city that is organized in quadrants, and I started in the SW side, since that’s the area I found myself in. 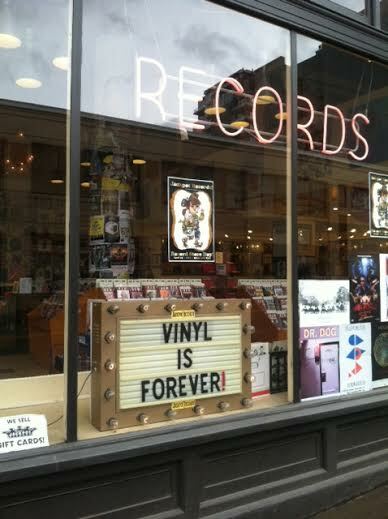 I came across a sweet record store called Jackpot Records and bought myself a Bon Iver and a Jimmy Buffet vinyl album. I don’t own a record player, but I will have one soon enough. 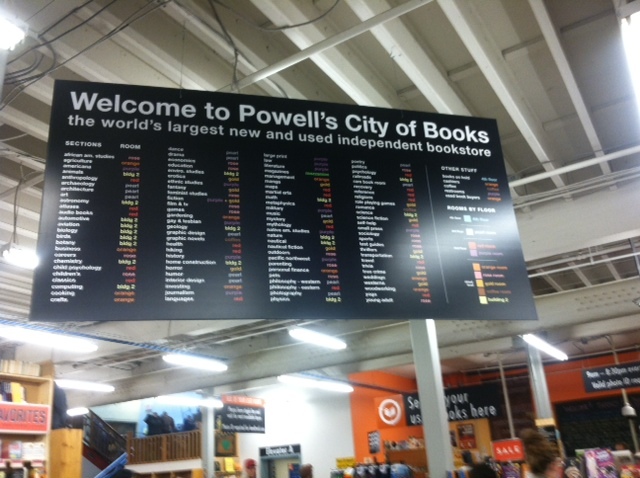 After the record store, I bee-lined to this amazing bookstore called Powell’s City of Book. It was INSANE!!! I’m a bookworm, so you can imagine that this was heaven on earth for me. I limited myself to buying three books; it took a lot of self control, but I sort of don’t have that much room in my suitcase for anything else. Oops. 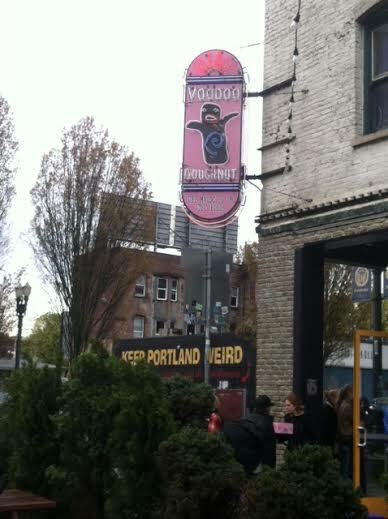 Once I managed to pry myself away from Powell’s, I went to another famous Portland hotspot called Voodoo Doughnuts. At this point, the Portland rain started to kick in again, but I stayed in the Voodoo line to get those damn doughnuts. 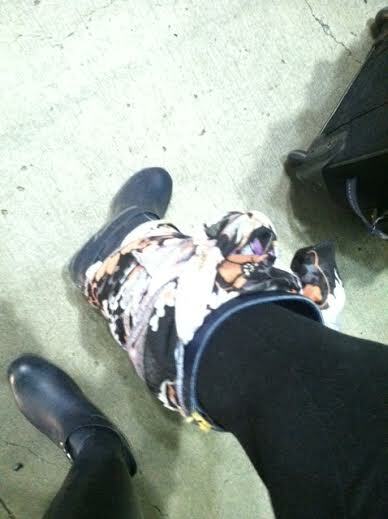 Let me tell you, it was worth it – plus I made a friend in line to pass the time. 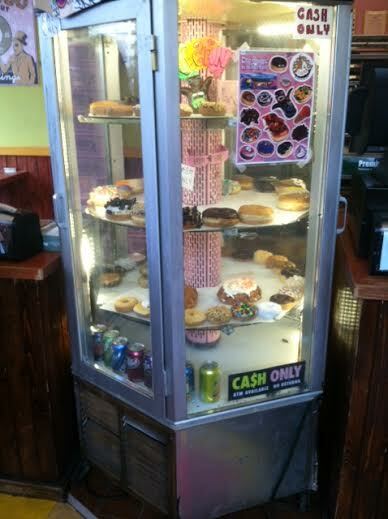 Voodoo used to apparently have a doughnut with Nyquil on it, and you can get married there. Quirky place, eh? Note the wall painting in the background: Keep Portland Weird. Yes, please. Let’s see… next, I just gallivanted around SW Portland and made my way up to NW Portland in order to meet Natasha after she got out of work for dinner! During my exploring I stumbled around a JUICE BAR!!! A local one, which was even more awesome. Of course I went in and started talking to the owner, and she was an amazing individual. 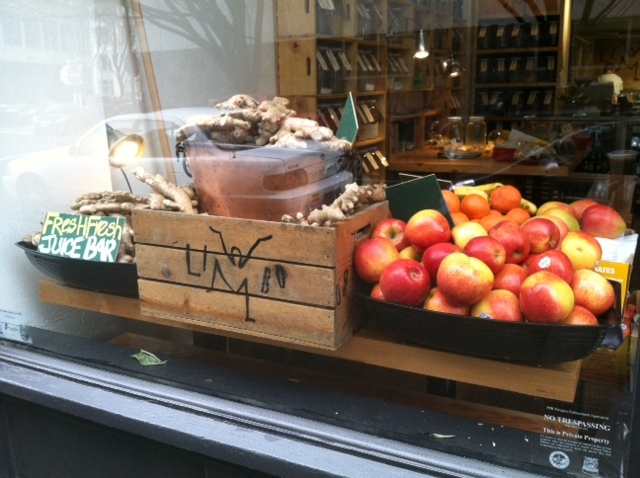 The juice bar was called Limbo and we exchanged e-mails — yes for making western connections! I loved 3 of them, was on the fence about 2 of them, and really did not enjoy 1 of them. It was too light with no flavor, but hey — 5 out of 6 ain’t bad! 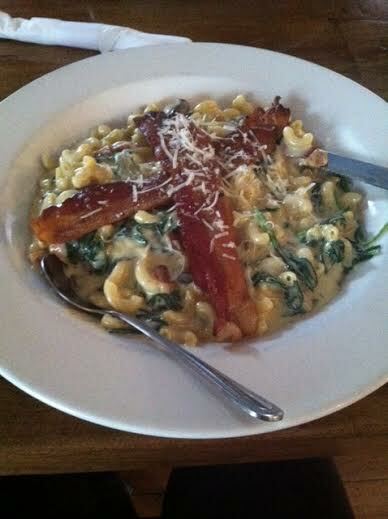 For my meal, I ordered house mac & cheese with wild mushrooms, spinach, some cheese I can’t remember and bacon. 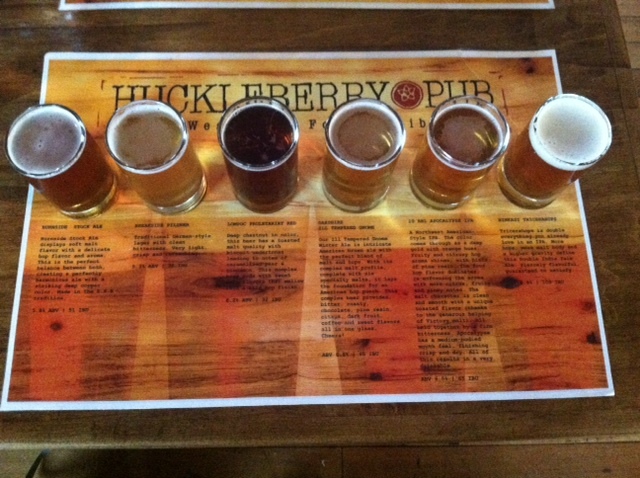 It was amazing and just what I needed to absorb the beers in my belly. Aaaaand that concludes my first full day in Portland, Oregon! I want to share more, but the rain seems to be letting up and I only have one day left! Later loves. Stay tuned for more adventures. Beauty isn’t about having a pretty face. It is about having a pretty mind, a pretty heart, and most importantly, a beautiful soul. As you may or may not know, I am a mild exercise junkie. Whether it be rock climbing, horseback riding, hula hooping or working specific body parts by lifting weights at my gym, I make it a point to move my body in a beneficial way 6 times a week – and 9 times out of 10 I meet my goal! It’s such a great habit to get into, and after a while it sort of becomes an addiction due to the amount of endorphins your body releases when you work that body. Win-win scenario, yes? YES. However, there is rhyme and reason to working out and letting your muscles recover, which is what I would like to focus on specifically in this post. This is some useful information, so although it looks long and daunting, please read on! 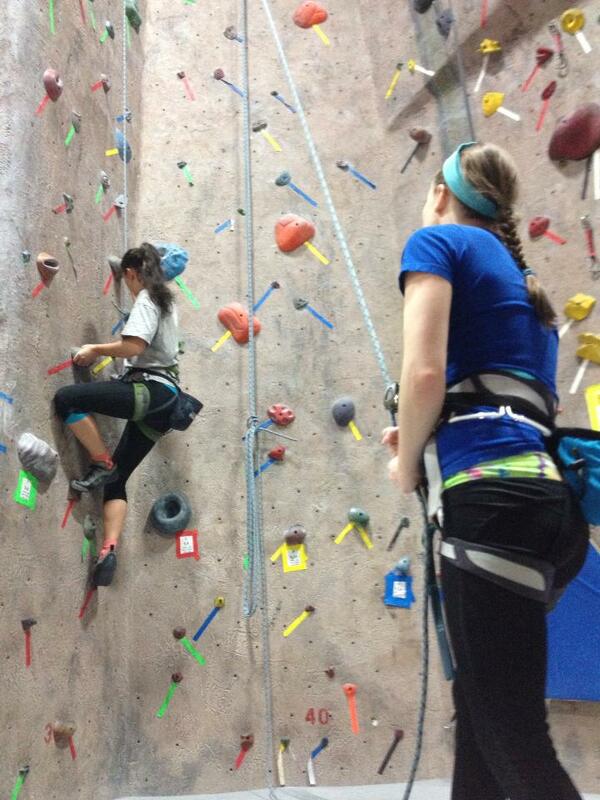 Rock Climbing – I’m the one on the wall! Cool: Let your body cool down and chill out in a slow fashion. When you stop your intensive exercises but continue to keep your body moving, you help your muscles repair themselves by dispersing lactic acid as well as helping your blood carry oxygen throughout your body. You may want to directly leave the gym after your intense exercises are done, but don’t! After my hard routines, I will go into the cardio cinema and walk on the treadmill for 10-20 minutes while watching a movie. If you don’t have a cinema at your gym, just hop on the treadmill or walk around the track to let your body heal itself a little bit. Drink: This one should be a no-brainer, I hope. You absolutely must replace the fluids and electrolytes that your body loses during exercise, so slug back that elixir of life with two hydrogen’s and one oxygen. Water is the key for all the metabolic and digestive functions that your body will need to perform in order to recover. Personally, I try to avoid drinks like Gatorade; they are full of things that your body really doesn’t need, and can even have a negative effect on the body. Stick with what we’re made of – choose water. 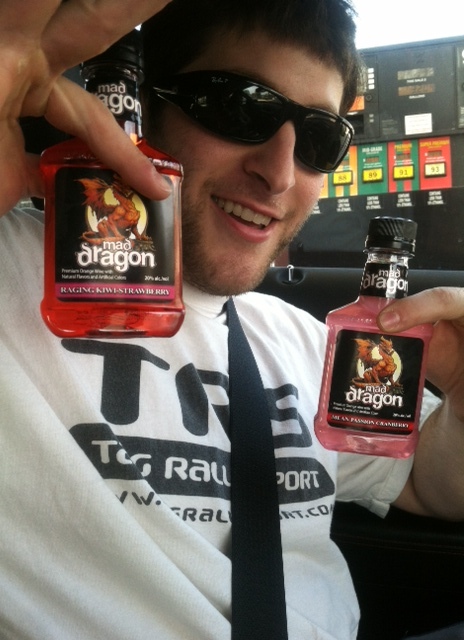 Ideally, you should be drinking it before, during and after work-outs, and not just afterwards. Eat: In order to recover, you need to have fuel in your body, which is what we acquire when we eat. Nutrition is the best way to make sure that your body repairs itself after exercise. 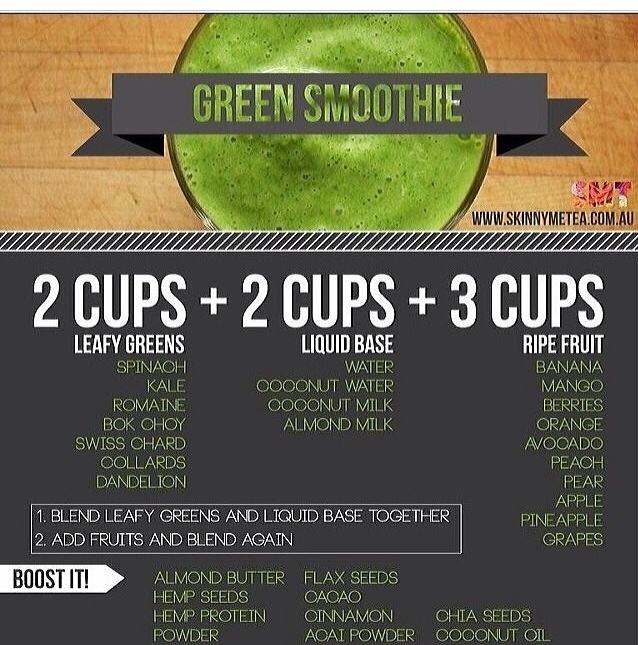 Now, you don’t necessarily have to be eating to refuel; you can get the same amount of nutrients (sometimes even more) via drinking things like green smoothies, so don’t rule that out! Just make sure that your belly is having natural and whole foods put inside of it after a workout so that your body can make the most of what it just did. To maximize your workout, consume the same number of calories that you burned within 30-minutes of completion. If you do, your muscles will readily accept the carbohydrates and protein, storing them as valuable energy and building blocks for recovery. Stretch: I used to mainly stretch before my work-outs, which still isn’t a bad idea, but I have since switched to stretching out after the majority of my work-out is complete (concerning the gym; when rock climbing I still stretch beforehand). Stretching is what will help you not become stiff, as well as aiding in circulation, which is also vitally important. Sleep: DUH. 6-8 hours everyday, people. The link between sleep and wellness is a glaring one. When you allow your body time to rest, you also allow the temple that is your body to naturally recover and produce Growth Hormone, which is accomplished during sleep. Sleep is, quite frankly, one of the best and easiest things that you can do for yourself. Plus, I personally feel like a million bucks when I get enough sleep every night – ain’t nothing wrong with feeling awesome! 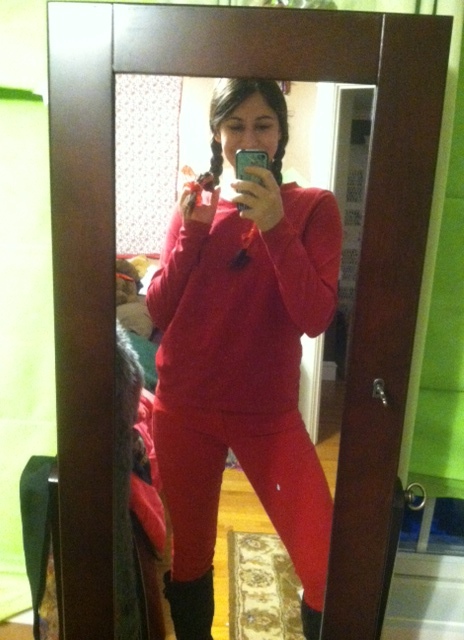 My Saint Joseph’s Day Outfit! Another interesting piece of information that you may find useful: when you exercise for longer than 60-minutes without refueling your body with nutrients, you actually wind up burning fewer calories and less fat than if you had eaten during that time. Not something you want to hear, huh? To combat this, try eating 50-100 calories of a fast-absorbing carbohydrate every 30-minutes, like raisins, an energy bar or a beneficial shake. You don’t want to replace every calorie that you burn during your work-out; instead, ingest just enough fuel to keep your body in an anabolic, or muscle-building, state. Lastly, my darlings, please PLEASE make sure that you know what you are putting inside your body; that means none of the following: MSG, GMOs, Trans Fat, Added Sugar, Preservatives, Artificial Flavors, Hydrogenated Oils, Synthetic Sweeteners and High Fructose Corn Syrup. If you ingest food items with these additives, you may actually be doing more harm than good to your awesome self. That is something that I don’t want!! You are too beaufiul to treat your body like a garbage can. 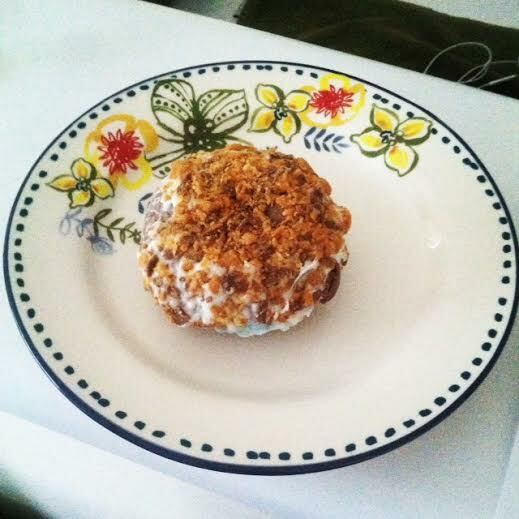 Do you have trouble figuring out a good post-workout meal? The ideal one is actually pretty easy; create a liquid that incorporates about 3 parts carbs to 1 part protein. If you make a shake that has the same amount of calories that you burned, your metabolism will remain high, your glorious muscles will have the protein that they need to rebuild, and your entire body will recover in a more efficient and beneficial manner. If you are worried about calorie counting, then have a smaller lunch and dinner, DON’T cut calories after your work-out. That is not the time! For the best health, you should have 5-7 slow-absorbing (“Low Glycemic”) meals everyday – minus the post-workout meal – with your largest meal being a few hours before your work-out. …. Phew. That was a lot of stuff. I hope that it was worth your while; I definitely learned a bunch while doing the research! Stay glorious my loves. My dears – this is brilliant. Yes, I may not have any daughters, nor do I plan to have any in the coming years, but I think that this is a beneficial read, regardless of your gender/age/whatever. I am particularly a fan of 10, 31, 36, 40, 50, 57, 59, 67, 77, 90 and 96. Number 36 is one that definitely should be more prominent in our culture. I don’t know why, but women always seem to have to compete with one another; it’s so silly! How are we supposed to move up in this world and be valued as equals to men if we can’t even appreciate and care for one another? We’re all beautiful, ladies, and we should be sticking together. Let’s just start loving one another like we should, okay? Good things will be sure to follow. If you are one of those women who feels the need to compete with the rest of your fellow female comrades (or if you are just downright mean and don’t like spreading love), I suggest that you change your attitude, and quickly, or you will soon find yourself a very lonely lady. If you don’t think you’re capable of being friendly with other women, I am calling your bluff. I’m always down to make some more friends. Try me. I was editing a personal statement for my bestie the other night (oh boy job searching), and in it she included this prayer that a woman at her place of work recites everyday. I’m a born, raised and confirmed Catholic, but I can’t say that I actively go to church and “practice my faith” on a daily basis. I do however, talk to God as I would a friend, in times of intense happiness, sadness, or just when I feel like talking, but not to anyone in particular. This prayer just seemed like a good one to have in my arsenal, and I thought maybe some of you could also appreciate its wise words. I live alone, Dear Lord. Remember: beauty is not in the face; beauty is a light in the heart. Stay beautiful my dears, our world could always use it. I just got back from getting a haircut by my lovely sister, Brenna… feeling pretty funky fresh! 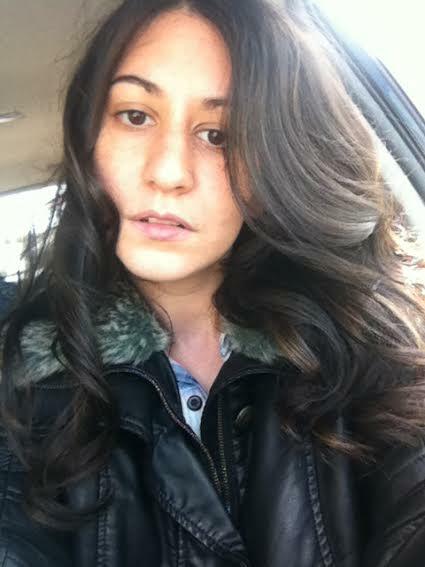 She even styled it for me – if any of you are Rhode Islanders, you should totally go get your hair done by her! She’s trying to get a foothold in the salon business, so anything helps! My grandmother (Barbara) and aunt/godmother (Gina) also work there, so any beauty needs you have, that trifecta can do it! Click here for the website. Anyway, I picked up this magazine at a rock gym in Florida that I thought was a climbing magazine, but it turns out that it’s a running magazine. Fail. I’m not exactly a big runner – and I kind of hate long distance – but I try to do it every so often, and this magazine has some good tips that I thought would be useful to share with the general public. So, here you go! A common mistake that athletes often make is lack of periodization – meaning that they will tend to prepare for one race, take a break from running altogether after finishing said race, then begin preparing for another. The correct way to do it is for each period of training to have overlapping elements like speed work, threshold work and longer tempo efforts with varied focuses on mileage, strength, pace and long runs. For example, have a period of higher volume runs with a focus on cumulative strength, or have a mileage – a good long run – and then a faster workout each week. Any variation is better than falling into the trend of training hard, taking several months off post-race, then jumping back into a race training routine again. If you actually think on it, that’s just not beneficial for your body to train it hard, do nothing, then work it hard again. Much better to stay consistent… Your body will thank you. Another thing this article touches upon is to be wary of group workouts. Yes, working out with friends is nice and helps you stay motivated, but just keep in mind that you may have different goals, so sometimes branching off is more beneficial. It is also important to not lose focus on speed training, regardless of what type of race you are training for; try training faster than your race goal pace. You don’t necessarily have to go all out and sprint, but speed work is very beneficial because it develops a full complement of muscle fibers, helps maximize the efficiency of your slower pace, and helps your nervous system fire up. Try incorporating one faster workout every two weeks to improve power and speed, like 100-meter strides or short hill repeats – totally manageable! I’ll do it too to help you get your bootys in gear, and I’ll even try to get Max to film it. It will be humorous. 100-Meter Strides mean that you accelerate for 20 meters on flat terrain, holding close to your top speed for the next 60 meters, then decelerate over the final 20 meters. Do 6-10 repetitions with roughly 60 seconds of rest in between. Start off once every other week, but make it your goal to do these twice a week after an easy run. You’ll be awesome! Hill Repeats should also start out once every other week, but work up to once a week after an easy run. For these, run 20-second repetitions uphill at a hard effort on a moderately steep grade. Start with 2 repetitions the first time, then add one rep a week over the course of 10 weeks. On a different note, these are some tasty treats that my mom picked up at the store a little while back. I highly recommend trying them out, it’s a great way to incorporate all those beneficial ingredients in your diet! 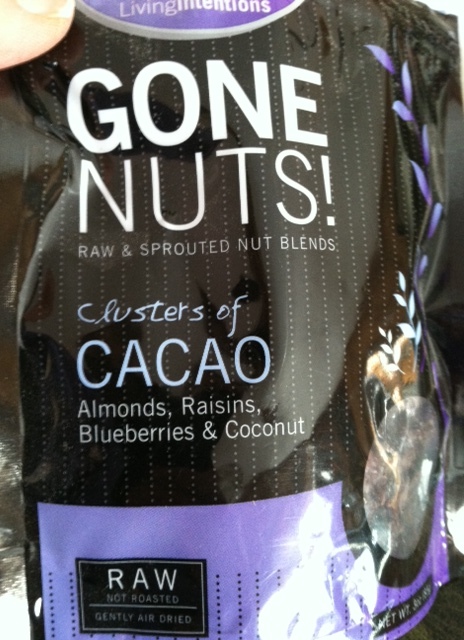 It includes cacao, almonds, raisins, blueberries and coconut – all of which do countless good things for your lovely body! Well, I’ve got to go get ready for work. Have a beautiful day, my cherry blossoms! Think Spring!